Last month, SoKind registry celebrated a big milestone—its one-year anniversary! As we reflected on the event, I started to think about how birthday celebrations have changed so much in such a short time. When I was a kid in the 1980s, most parties were simple affairs at people’s homes, involving little more than pizza, cake, and lots of running around. A fancy party was one that involved a piñata, or maybe a special outing to the roller rink (it was the 80s, after all!). But today, my kids get invited to parties that could be straight out of the pages of a Martha Stewart magazine. There’s entertainment, craft projects, elaborate food, and lavish goody bags. And my kids are still fairly young—I can’t imagine what the party circuit will look like when they start getting invited to Sweet Sixteens! I think Schulte is on to something, and I don’t think it applies just to working mothers. The truth is that parenting is ridiculously challenging, and most of us feel generally insecure about whether we’re making the right choices for our kids. And rather than expose our vulnerabilities to one another (and maybe even to ourselves), we throw the perfect party. I mean, if we’re capable of throwing such an impressive party, then we must have this parenting thing all figured out, right? Dr. Doherty went on to explain that in this “peer culture of parenting, it feels as if the more carefully scheduled the party, the more care has been put into it. And who wants to send the message that you care less about your child?” Moreover, there is a lack of trust that children will find a way to simply play, and a lack of understanding that play itself is enriching for children. Due to a combination of factors—including sheer laziness and a general aversion to excess—I have come to embrace the “good enough” birthday party. Most of our parties are at home and involve pizza, cake, and lots of running around. As my girls get older, they will occasionally choose a theme and come up with some party games or a craft. But there’s a lot of unstructured time, and the kids always prove themselves more than capable of entertaining themselves. These parties are easy to plan and to host, and my kids are perfectly happy with them. And—the funny thing is—at the last over-the-top birthday bash that I attended with my youngest daughter, someone stopped me at the Pinterest-inspired food table and commented that their kids loved coming to parties at our house. I guess “good enough” really is good enough. Christine Koh, co-author of Minimalist Parenting: Enjoy Modern Family Life More by Doing Less, reminds us that we’ll be happier if we pay attention to our children’s joy, rather than to the fact that Liam had a petting zoo at his party and Madison took 20 girls to a Katy Perry concert. And a big part of this is tuning in to your child’s temperament. My youngest daughter can get overwhelmed easily, and I know she would most enjoy a party with 3 or 4 friends, doing a quiet art project together. So even though everyone else invited the entire class to their parties—and I might seem rude for not returning the favor—I remind myself just to focus on her joy. Limit the number of participants. A good rule of thumb is to invite the same number of guests as your child’s age. 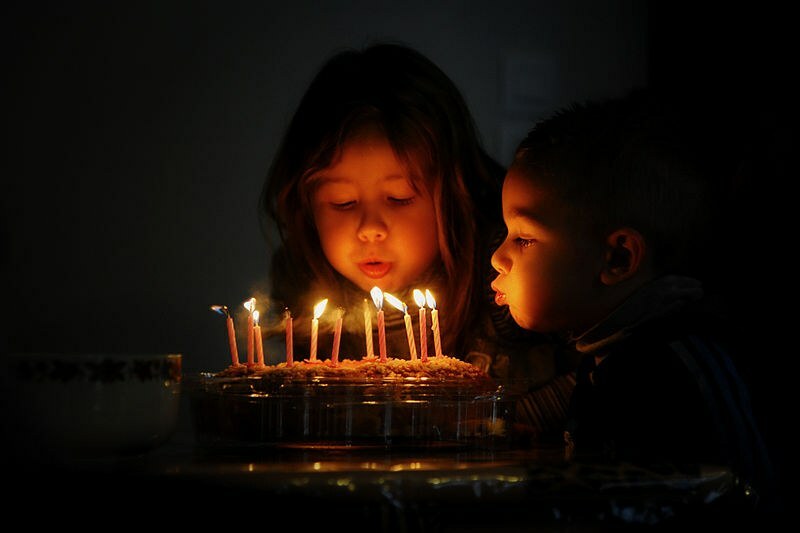 If, knowing your child’s temperament, even that number is too much, offer your child a special treat with one or two friends instead of a party. You can also limit how often you host a big party. Growing up, my husband was allowed a “friend party” every other year; on the off years, he had a family party with his cousins. And he turned out just fine. Limit gift giving. We have a deal with our kids: if they want a party with several friends, they have to forego gifts and collect for their favorite charity. We let them choose the charity, and, so far, we’ve collected supplies for local schools and animal shelters, blankets for Project Night Night, and books for a local children’s hospital. Because the kids get to choose whether to have a small family party with gifts or a larger party with donations, they’ve never complained (yet!). And they always feel proud of themselves when we make the post-party delivery to the charity they’ve chosen. For those friends and family members who really want to give your child a gift, start a SoKind Registry and register for gifts that add more fun and less stuff to their lives. Another option is a White Elephant party, where each guest brings an age-appropriate book in lieu of a gift. The children then draw numbers and select a book out of the bag in order of their numbers. When it’s their turn to choose, they can either keep their book or choose from someone who’s already gone. The kids will have tons of fun, and the birthday child will probably be just fine without a huge stack of presents. Limit your attendance. It took me a while to realize that my kids don’t have to go to every party they’re invited to. When my oldest was in kindergarten, I didn’t turn down any invite unless we had a scheduling conflict—every weekend was booked! I’ve since learned that it’s perfectly acceptable (and necessary for my sanity!) to say no in favor of family time. Creating rituals is good for so many reasons. First, it removes much of the decision making. If, every year, you celebrate birthdays with a special family dinner and an outing with two of your kids’ closest friends, you’re pretty much set. Second, creating rituals imbues the activity with meaning. Rather than buying disposable decorations, for example, create a family heirloom instead. Buy a flat bedsheet and cut it to fit your table. If you’re feeling crafty, add a fun patterned border. Then, at every celebration, have each guest sign their name in permanent marker and include a message. 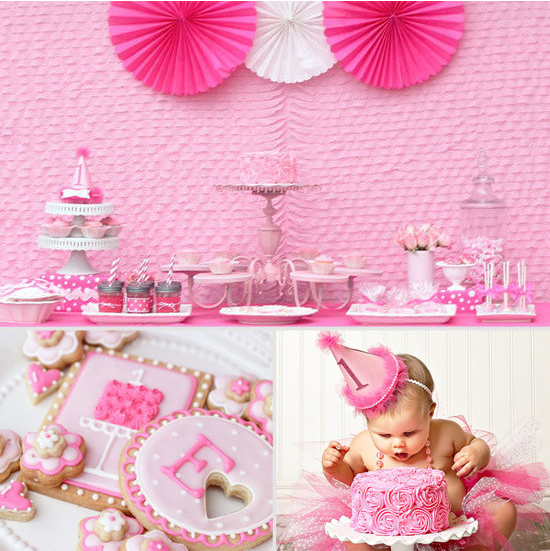 You’ve just created a lovely record of your child’s birthday celebrations that can be used year after year. In my house, we do a birthday photo banner. I print out a good picture from the previous year, stick it on a bright piece of paper, and add it to the banner. My girls get such a kick every year at seeing which photo was “banner worthy.” If you’re not the crafty type, you can buy a reusable cloth banner and pull it out every year on the family member’s birthday. Voila! You’ve got a family heirloom. If your daughter has a beautiful tea set, have her host a doll tea party for her birthday. My oldest daughter is a huge Harry Potter fan, so she used a lot of her own collection to decorate for her last party. The highlight of the party was when each guest was “sorted” into a house—my husband was upstairs on one phone, reading the Sorting lines from the book, while the girls listened downstairs on speaker phone. It took two minutes of planning, and the kids thought it was magical. Another idea is to use your child’s artwork for decorations: imagine how proud they’ll feel to have their artwork displayed all over the house when friends and family come over! If your child has a friend or classmate with a birthday in the same month, why not team up and share the responsibilities? One family could host and be in charge of the food, and the other family could come up with some fun games and crafts. Is anyone else surprised when their kid is served pizza at a party even though it’s nowhere near a mealtime? It’s like there’s an unwritten rule that you must serve a meal at a birthday party. I’ve chosen to ignore this rule. I always try to schedule the parties between lunch and dinner, and serve a small selection of snacks and drinks plus cake. And don’t get me started on goody bags! How many plastic rings and rubber balls can one child own? Wouldn’t it be great if all parents pledged to just stop with the goody bags? Let’s start a trend! If you do want to send guests home with a thoughtful token, there are lots of “good enough” options. I'm a big fan of the “double duty” favor: host a craft party and the craft is the favor. Or a cookie-decorating party, and each child brings home his beautiful creation. If you’ve always thrown big parties for your kids and want to make a change, Dr. Doherty advises parents to start with a family conversation about what you most value about family celebrations—with every family member getting a voice. Then, introduce your desire to go for depth and quality rather than numbers and spectacle. Emphasize that you want your child to have fun, and offer options that have fewer guests and more personal connection. You can even try this as an experiment for the first year. 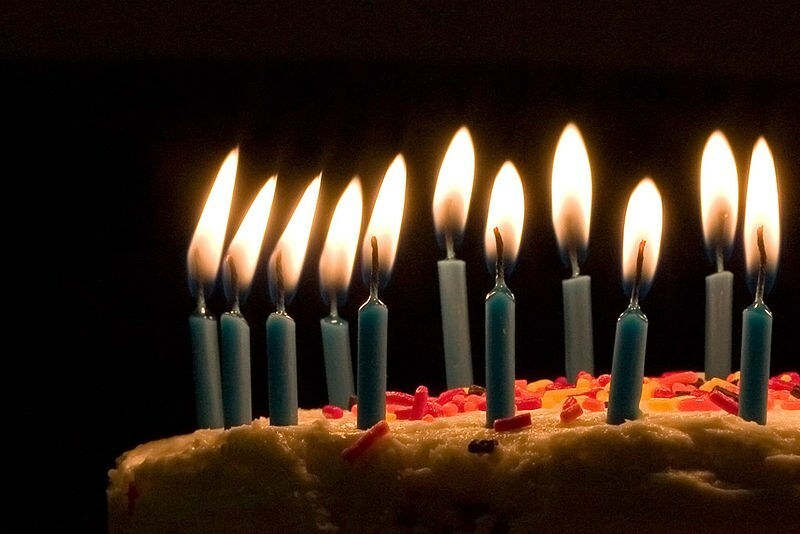 Here’s to birthday celebrations with more fun and less stuff, more joy and less stress, and more love and less waste!